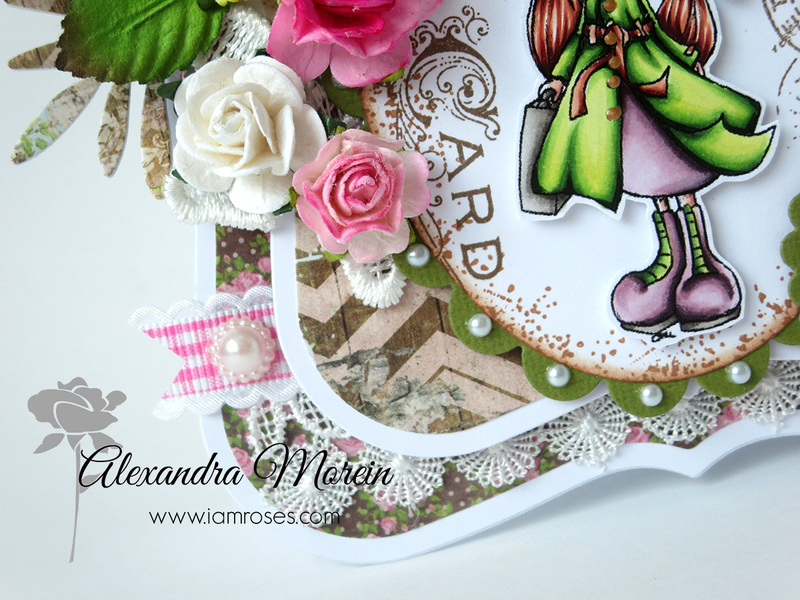 My today's card is for the I Am Roses design team. 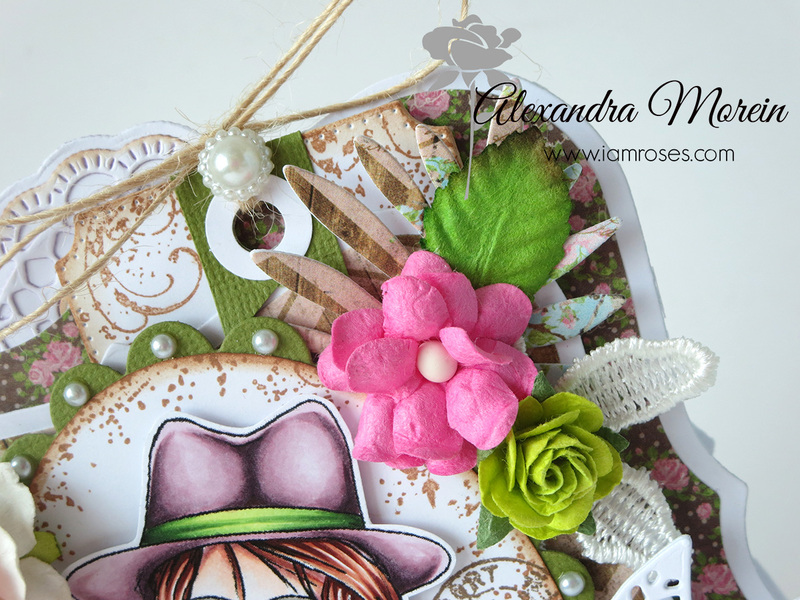 I hope you are all familiar with the flowers from the I Am Roses and often use them on your projects too. 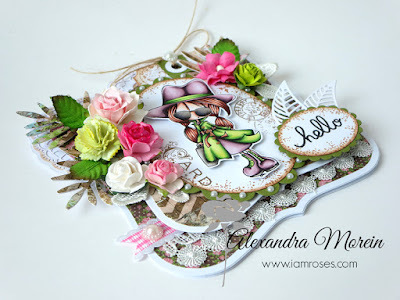 On my card I used quite a lot of different flowers and the links to them will be provided at the bottom of this post. 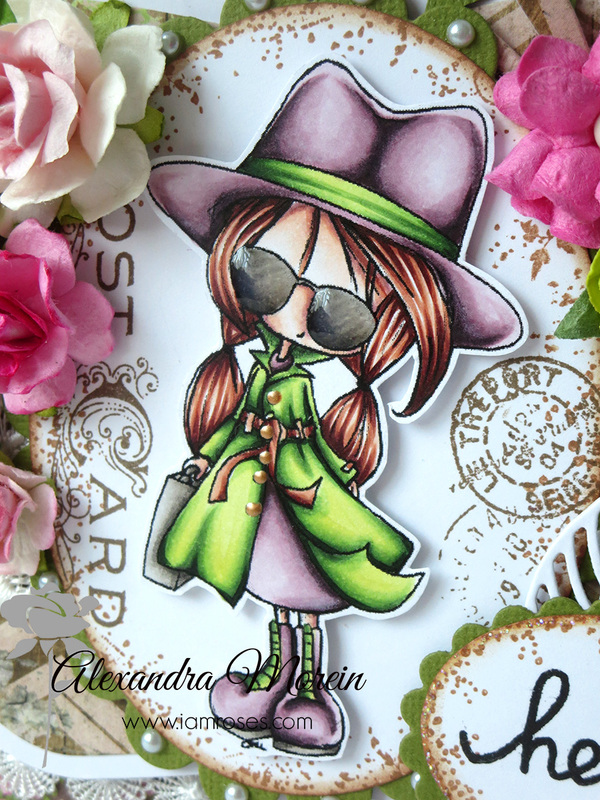 Unexpected color combo for a spy outfit, I know, but I really wanted to use some bright flowers on this card, so had to match the colored image. 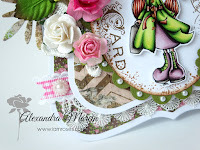 The dies I used for creating this card are from Quickutz, Spellbinders, Cheery Lynn, Rozy Owl, My Favorite Things, DieZyne. The ticket tag may be pulled out. 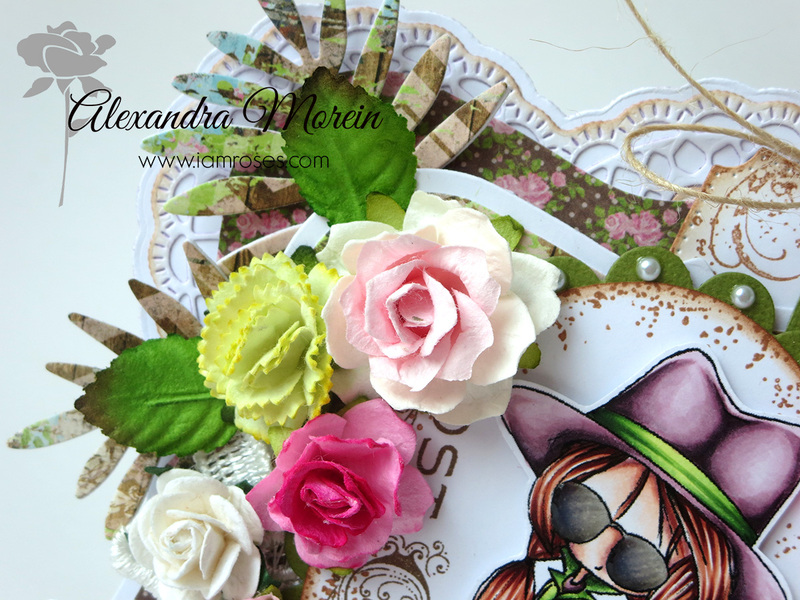 You still have 1 week to enter your cards into our Anything Goes monthly challenge. There are awesome prizes for the winner. Soon Cool!. Love the Colours.. 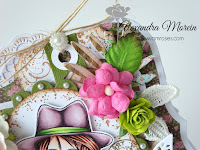 Fantastic Colouring and the image is so Cute!.. Adorable! Great Decorations that match Perfectly!